Brief historical account of each of the numbering series. Suffixes - what do they mean? Shape numbers for PPP, Remued, Pamela and Kerryl. Early Series, Later Series, and others. Which series does a piece belong to? 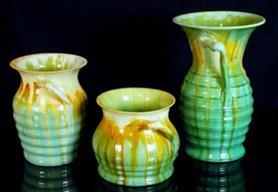 Baskets; Jugs; Cylinder vases; Baluster-shaped vases; Candlesticks; Ashtrays; Animals; Kitchenware; & more. Can you contribute to the catalogue? n About this site. What's new? 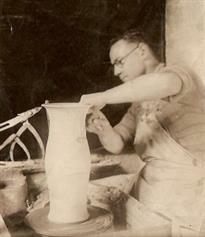 'Remued' was a line of art pottery dating from the early 1930s to the mid-1950s. 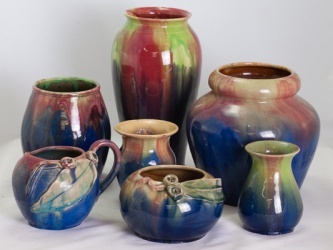 The name has become so associated with its characteristic drip-glaze style that it sometimes even appears in descriptions of other pottery, as in 'van Briggle remued'. 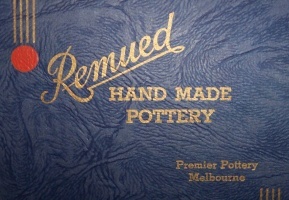 The term really belongs only to pieces made by Premier Pottery Preston, in Melbourne, Australia. 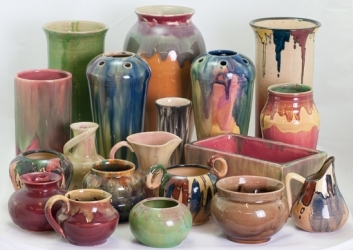 Remued pottery is nowadays highly collectable, ranging from small simple pots that are relatively easy to find and inexpensive, to rare decorated pieces that sell for thousands of dollars. 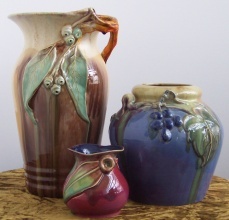 Premier Pottery Preston also produced other lines in their earliest years, branded 'PPP' and 'Pamela', again highly collectable and sought-after. 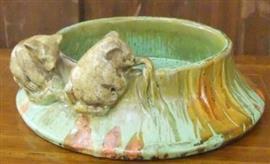 Most pieces were produced in a series of standard shapes and were numbered according to shape. Premier was just a small firm and never produced comprehensive catalogues of their wares. This website is an attempt to compile such a catalogue. 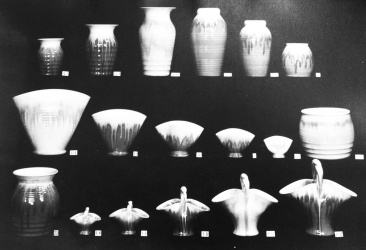 Hundreds of shapes have been identified, but there still remain many gaps in the record and users of the catalogue are invited to contribute.